I had the most wonderful morning in the city with Melissa and Calvin. 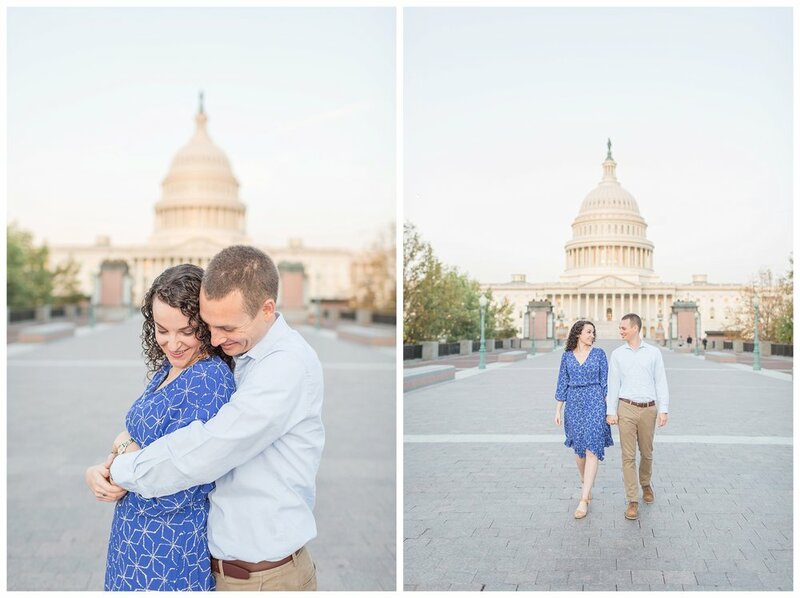 After tons of location chatting, we decided to take a few snaps at the Capitol & Union Station! 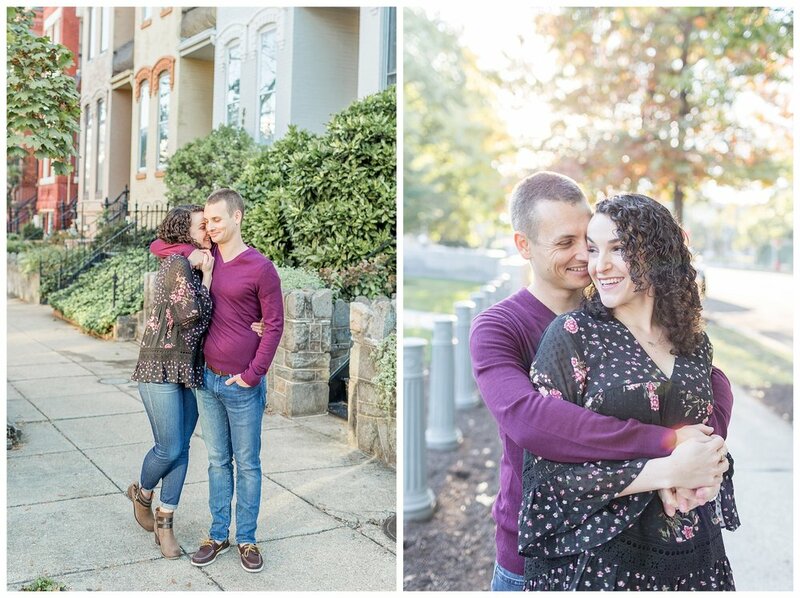 These two have lived all over so I loved that they chose locations that represented their new home together in DC! We were able to avoid the Marine Corps Marathon traffic and it was like we had the whole city to ourselves! Here is a little back story about this darling couple straight from the bride! "We met through mutual friends in August 2013. Melissa was starting her first year of teaching, and Calvin was starting his first year of law school. Our respective friends (who knew each other) each invited us along to a dinner party, and the rest is history! We were living in Indiana this past year and had come to DC so I could interview for teaching jobs during my spring break. 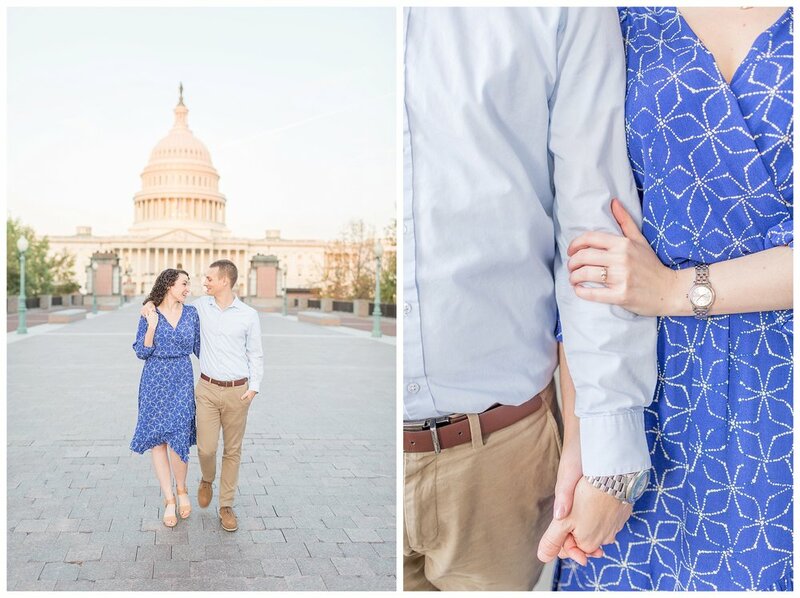 I suspected something was up when we first arrived in DC on the Friday night, but it wasn't until Saturday that the proposal happened. We went for a walk around the tidal basin, enjoying the cherry blossoms. When we got to the end of our walk, we were right in front of the Lincoln Memorial, looking at the wading pool. There, Calvin got down on one knee, and the rest is a blur! 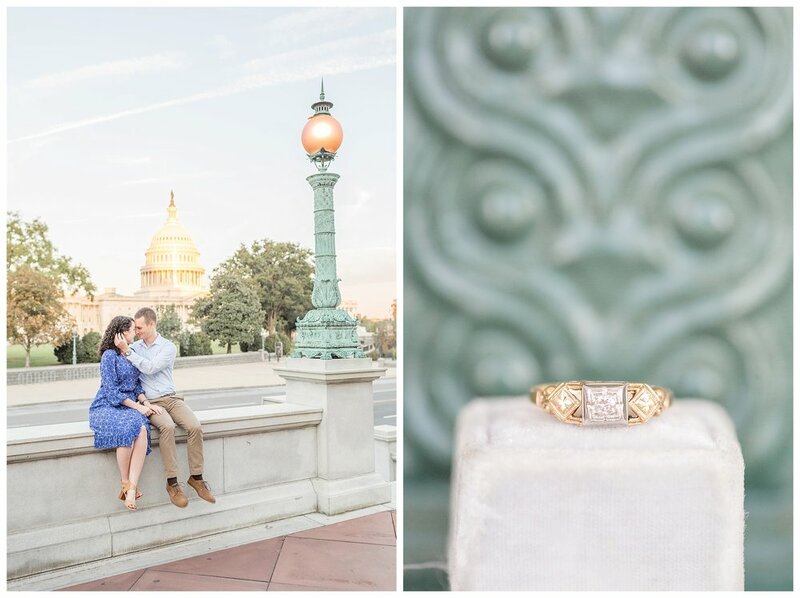 It was so exciting getting engaged in the city that we now call home!" 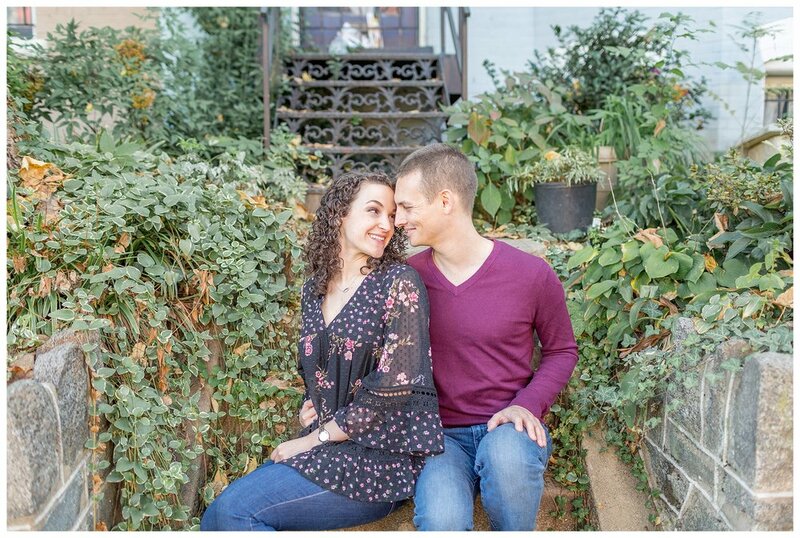 I can't wait for their spring wedding at Woodend Nature Sanctuary!